I have been working on this for a while, and now can share that my first YouTube video has been posted!!!! This first video is a shorter version of my free course on the different types of eating disorders. Other videos are coming soon on debunking popular fad diets (starting with the "keto" diet) and medical complications of eating disorders. 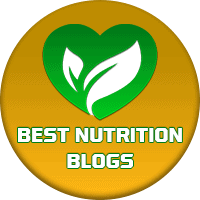 ​Make sure to sign up for the nutrition education newsletter for monthly education and inspiration! of college age females, and about 2-3% of college-age males. Professionals have noted kids as young as 6 years old talking negatively about their bodies and trying to diet. Over the next 3 weeks I am offering a free support group/class for parents in San Luis Obispo. We will go over what eating disorders are, warning signs, how to talk to your kid/someone with an eating disorder, what you can do to model healthy behaviors, and whatever else you want to talk about. This will be a safe space to talk about this stigmatized mental & physical illness. Please invite your friends! This class is open to all. While it is aimed at parents of middle/high schoolers, it is for anyone who wants to better understand what eating disorders are and how to help a loved-one. I am not assuming that you or anyone in your family has an ED just because you showed up - this is good information for everyone, because we all know someone with an eating disorder. Sundays at 6 pm, March 4, 11 & 18. There was a lot of buzz leading up to the release of Netflix’s “To The Bone” on July 14, 2017. As a Registered Dietitian who specializes in eating disorders I was intrigued. In this film, actress Lily Collins played Ellen, a young woman with anorexia nervosa who goes into a couple of different treatment centers and bounces back out to home or hospitals. Collins has been very forthcoming that she previously struggled with anorexia nervosa, which made me more nervous about her losing weight for the role. When I first heard that there was going to be a film made about eating disorders, I thought this would be a great opportunity to raise awareness of what eating disorders are like. And hopefully get people talking in a productive way about the different types of eating disorders and how it is not a good thing to get one...but as the trailer and initial interviews came out in the weeks leading up to the release, I instead became worried that it would not only depict the stereotypical white emaciated anorexic girl (which it did), and be triggering to those dealing with body image issues (it probably will), or teach new bad habits (for some it will - that scares me most of all!). Here is my take on the film as I watched it and took notes, the good, the bad, and the triggering (spoiler alert). OPENING: I must commend Mockingbird Productions for starting the film with the statement, “The film was created by and with individuals who have struggles with eating disorders, and it includes realistic depictions that may be challenging for some viewers.” I hope they don’t consider that their liability statement, but they tried. In the opening scene we see “Ellen” at a residential treatment center in art therapy class. She looks visibly bony, and it only gets worse through the film (not sure if it changes due to eating less, make-up tricks, or what, they did claim the use of some prosthetic bones, though). In articles that came out prior to the film release, it was said that Collins lost weight under supervision of a “nutritionist.” I don’t know who this “nutritionist” was, but there is no way in a true health professional that knows a thing about eating disorders would allow someone to lose that much weight, ethically, especially since she has a history of anorexia and might suffer physical and mental complications of going through the trauma of extreme weight loss again. I also use “nutritionist” because that is the word I found for the unnamed person who guided her weight loss, and if it was actually a Registered Dietitian or other licensed health professional they would (or should) have their license revoked for unethical behavior. Weight cycling (large fluctuations up or down) is very hard on the body, which likes to maintain homeostasis (or “same-ness”). Every time we lose weight our metabolism (calorie needs) goes down. When we gain weight back our metabolism does not go all the way back to “normal,” this is why it gets harder and harder to lose weight if you have been on many diets. In addition to lowered metabolism, as was briefly mentioned in the film, the body has to rely on energy (calories) from muscle and organ tissue to survive, which can cause irreversible damage. Having Collins go through extreme weight loss again could have done real damage to her body (organs, bone density, fertility, cardiovascular system) that she might not know about until years later. CALORIE TALK: In the following scenes there are definite strengths and weaknesses apparent to anyone who is in the field of eating disorders. As seen in the trailer, there is a scene where Ellen is quickly counting calories on a dinner plate. This is a strength in that it is very realistic to how a person with anorexia’s mind typically works, but any time calories are brought up (in a few scenes) it is a potential trigger for some viewers. It also glamorizes the “ability” of knowing what is in your food. With so many people on diets that require calorie counting, I am sure many think it would be “easier” to have anorexia to be able to not only count fast, but to abstain from eating. If you are one of those people reading this - IT IS NOT WORTH IT! (Contact me personally, I will walk you through the why nots, I don’t have the space in this article). By the way, eating disorders (ED) are not a choice. They have genetic and environmental components and are a person’s way of coping with a perceived problem or trauma, similar to the way an alcoholic turns to alcohol to numbs themself from emotion. BEHAVIORS: Continuing on, maybe it is because I live in a part of California where cigarettes are banned in public spaces, but smoking is not nearly as common among ED/weight loss as it was 10+ years ago. Ellen is seen smoking throughout most of the film, and I hope people don’t continue that stereotype along with most EDs being anorexia nervosa (they’re not - binge eating disorder and “other specified feeding and eating disorders” are much more prevalent). Other behaviors throughout the film that the director/actors got right are body checking (Ellen keeps checking her arm circumference with her hand, and her roommate calls her out on it), flushing meds down the toilet due to fear of weight gain (don’t go off meds without Dr approval), the roommates “barf bag” and laxatives, cutting breading off of chicken, passing out when she stood up fast (this is caused by low blood pressure when not eating enough), stair running to “burn” calories, and the doctor noticing the bruises on the bones of the spine and calls her out on doing sit-ups. WEIGHT: More triggering, but truthful scenes, include Collins taking off her shirt to get weighed, and at the end of the film you see her naked (artfully laid on the ground to cover private areas). She is truly emaciated. This took my breath away- as you can only do so much with makeup, she had to lose a lot of weight for this role. It makes me so sad. Near the end of the film (spoiler) she has a “dream” where she is healthy and happy, and she has some weight on (probably shot first before she lost the weight), and she is gorgeous. There are no bones protruding, she is on the slim side of normal weight. The treatment facility where most of the film takes place did a good job of having a range of body types and disorders. Most people with ED are not underweight. There was a larger binge-eater, some average-size people with bulimia and anorexia, a male, a pregnant woman, and different races (though still overwhelmingly white). While the other behaviors of binge eating and bulimia were touched on, the film was primarily about anorexia. I wish they had shown more of the other disorders, to make a point that EDs are not just thin white girls. PROFESSIONALS: I thought the doctor, therapist, and nurse were all very well written and played. Any of their interactions were probably my favorite part of the film. In group therapy, the therapist was great at getting the participants back on topic in a realistic way, and concluded a talk with “there is never thin enough.” The nurse and doctor being more upfront and brazen with their speech is likewise true to life. They all easily call out Ellen on her behaviors and things happening to her body (ex: lanugo hair, body burning muscle and organs when not eating) in very realistic ways. TREATMENT: The treatment facility that most of the film takes place in is a good depiction (though a bit cleaner/newer than most) of a residential treatment center. They call it inpatient in the film, which is incorrect, it is residential. Something that seemed off to me, but maybe some places do this, is that the patients were allowed to eat what and how much they wanted for every meal with no real consequences, and most of the time no professionals ate with them. From my visits to and talks with treatment centers, there is always at least one staff member present, and if they do not finish their meal, typically a liquid supplement like Ensure or Boost would be required. I did like that the anorexic man said he gets a “crazy burst of energy” when he eats. I have heard that from a lot of my clients when they start eating again. It was realistic for the nurse to go through Ellen’s bags when she arrived at the facility. They check for any diet or self-harm tools as depicted in the film. It might give viewers ideas about how to hide things when not in treatment, though, so that worries me. The bedrooms rooms not having doors is not necessarily typical, but there would not be locks on the rooms or bathroom. When the families are talking about treatment modalities in the waiting room I did not like that they were putting down methods like “Maudsley” (family therapy for children with anorexia), and family therapy was depicted in a bad light. Both of these can be very helpful in real life. RELATIONSHIPS: Ellens relationship with her family, though realistic, is not necessarily typical. Though many have tumultuous relationships with family members, they are not usually so blatant (but this is a movie - so it had to be interesting). Families are also typically not the “cause” of an ED, though relationships get harder as someone sinks deeper into their ED. ED is a relationship, and it makes it very hard to get close to, or let others into, your life. It was notable that Ellen was never hugged (except by sister) until the end of the film. Unfortunately, lack of touch (whether by choice, or because family is not affectionate) is a common thing I see in clients. Something I think was unrealistic or glamorized was the relationship that developed between Ellen and the man in treatment. I have never heard of a relationship coming out of treatment, and if it did it would probably not be a healthy one. Also, can I just say that it was weird that right after she told him about her trauma of men and touch that he kisses her and climbs on top of her without permission? That seemed wrong and was uncomfortable to watch. CONCLUSION: This film got a lot of things right about EDs and treatment, and the acting was very realistic. So realistic, that I had to process this for a day before I could write this article. Though I have had a healthy relationship with food and my body for years (after restricting in college), and treat people with all of these issues and symptoms every day, I had flash-backs to my personal struggles, and had to go look at myself in a mirror to remind myself I am not scary-skinny. The fact that that happened concerns me for how others who are not as strong in their recovery will handle seeing this. My recommendation is that if you struggle with body image or disordered behaviors (whether or not a diagnosable ED) you should not watch it, or be ready to process it with a therapist or trusted friend. This film has a great potential to trigger people who have these propensities, and to teach bad habits that help them “get away” with disordered behaviors. That being said, viewers could find those behaviors other places online, so it is not necessarily the fault of the filmmakers. I do think this would be a good film to watch for those who have a loved-one dealing with an ED, especially anorexia. It is a realistic depiction of high-acuity anorexia nervosa, and discusses symptoms other consumer media leaves out. *Article is re-printable with permission. Please contact Libby for permission to put it on your site. Registered Dietitian, Libby Parker, is the owner of Not Your Average Nutritionist, LLC - a private practice on the central coast of California. Libby offers nutrition counseling for teen-young adult, specializing in people with eating disorders. Additionally, Libby teaches nutrition courses at a local college, and works to educate on topics of eating disorder recovery with her online training site. Find out more about Libby at: www.notyouraveragenutritionist.com (check out the "online courses").